Spring has finally arrived in our neck of the woods! I am so excited to have some sunny weather! I can’t wait to go for walks around the block, work in my garden, play outside with my kids, and just enjoy the warmer weather. April, especially, is going to be great – our church has it’s semi-annual General Conference, which is kind of treated like the Superbowl at our house because we have a huge breakfast and all kinds of fun activities for our kids to do <- click that link to go to the Ultimate Guide to General Conference with Kids; and, of course, there’s Easter and I love the Easter egg hunts and preparing (and eating!) our Easter dinner. 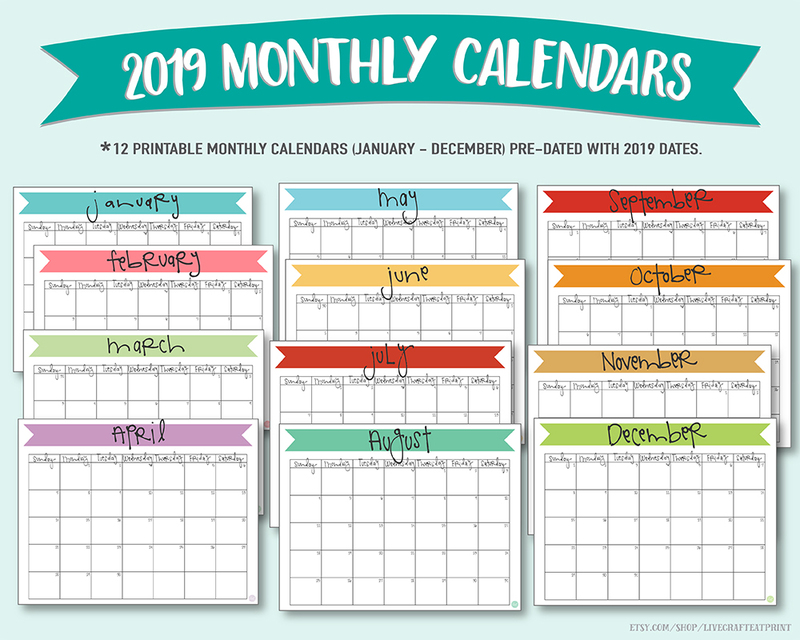 So since there’s lots going on and lots on my to-do list, I’m for sure going to be printing out this cute April 2019 calendar to post on my fridge so I can remember to get it all done. If you’ve got lots going on this month too (or even if this is a relaxing month for you! 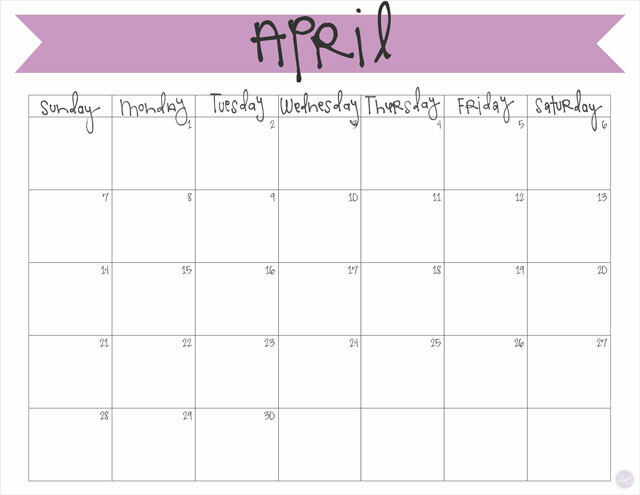 ), make sure you print out this free printable April 2019 calendar so you can write in all the things you want or need to get done. 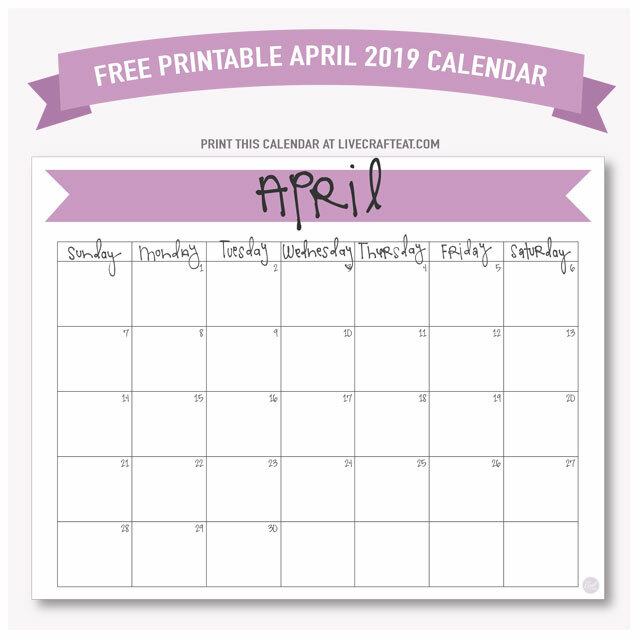 Click here to download your FREE printable April 2019 calendar! 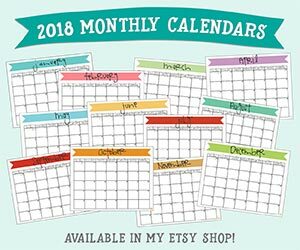 I’ll be posting these freebie calendars every month, but if you’d like them in advance of each month or if you want to print them all at once, feel free to visit my Etsy shop, livecrafteatprint, where you can get the whole set! And if you happen to have a spring baby on the way, or know someone who does and want to get them an adorable gift, check out my other Etsy shop, Kate and Meri, for custom onesies.